Seekerville: The Journey Continues: Monday Holiday Reality Strikes Seekerville! Monday Holiday Reality Strikes Seekerville! When you close Seekerville for a Monday holiday without a Tuesday guest, then you have a TWO DAY GAP. And to do that, let's talk historical romances. I had just gotten a lovely historical proposal done when LIH announced they were closing last year. I could have sought other publishers, but what a perfect opportunity to create a series and release it myself in the 2018/2019 winter season! Historical research doesn't begin on the plains of the prairie... for me it begins here, on what used to be the shores of the New York Harbor. 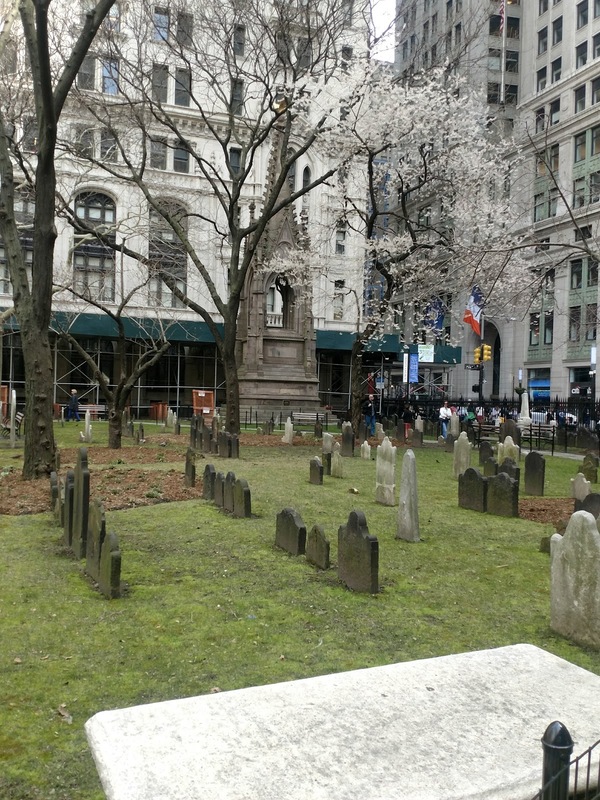 This is the cemetery at Trinity Episcopal Church in Lower Manhattan. I'm hoping the video comes through this time.... If not, here is what it says: "Here lies James Palmer who died the twelfth of April, 1802. Aged six months, fifteen days." Old graveyards are filled with story. Lost children. Women lost in childbirth. Disease. War. But mostly filled with these young people, a "first" family wiped out by illness only to have a similar thing happen to the "second" family. Raising children past age five was a milestone! This cemetery used to lie at harbor's edge but island growth via subway tunnels has "pushed" it several blocks back. But here it lies, in the middle of Wall Street and Big Business and Fancy Finance. A small spot that harkens back to our beginnings... to those first brave souls that ventured across the seas for religious freedom. We are so blessed by these times in so many ways. Medical care and vaccinations and urgent care and well-baby visits... and interventions for struggling children! What a time! But as we can see on the weekly/daily/24 hour news, our children are suffering in very different ways. Why is that? Why do children hurt, harm or waylay others? Why would children bring weapons to school? Why do we have so many young people needing mental health interventions? I don't have answers to these questions. As an author, though, each varying set of circumstances brings forth the possibility of stories... of reasoning why we do what we do. In the past parents valued the sanctity of their children because they buried so many babies. Have we lost touch with that? With our faith? With moral standards? While moral standards had strict parameters that could be stifling (think Jane Austen to modern times) those standards helped enforce rules of acceptable behavior. When did we change those rules and how does that affect the presentation of a contemporary story? Just some stuff to contemplate on a day with no carry over! It's farm season and yard upkeep time. The snow is gone and has revealed SO MANY THINGS to do! But I'll stop in to chat with youse and we can talk about old times... what made people work so hard to better themselves? To cross an ocean in a wooden boat, then a country in a wooden wagon. I hope you look forward to winter's historicals being released... because I know I sure do! 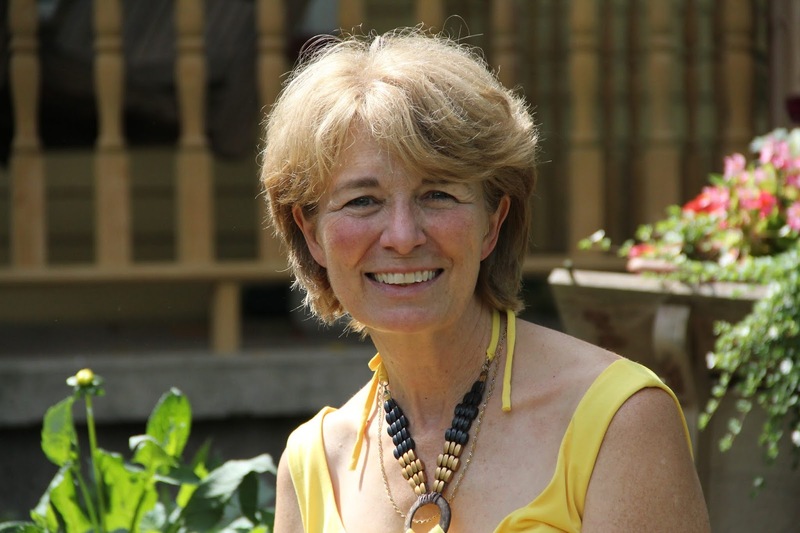 Multi-published inspirational author Ruth Logan Herne lives on a pumpkin farm in upstate New York with a whole bunch of big and small people, a couple of dogs, a few cats, mini donkeys and way too many chickens! She writes beautiful stories with unforgettable characters that touch the heart... and the soul. Find her at ruthloganherne.com and on facebook and Twitter! Okay, I just researched why the videos only LOOK LIKE videos in disguise... It seems I need the Google + app on my phone and then it will upload directly to my Google cache of COOL STUFF like photos and videos, etc. So I'll practice that before I do a blog post about this poignant cemetery just a few blocks from Ground Zero/World Trade/Freedom Tower. I've stopped by the reflecting pools twice this year, before the leaves sprang out and the flowers bloomed... under gray skies and cold winds those pools are a great place to pause for prayer. And there are churches close by... St. Peter's Catholic Church and St. Paul's Chapel which served as a resting spot, food site and mental health facility throughout the aftermath of the 9/11 attacks on the World Trade Centers. Good morning Seekerville! Ruthy -- I'm uber excited that you're publishing a historical series!!! Will it be in paperback too...or just ebook? You pose some interesting questions about our ancestors that came before us. What motivated them to persevere against all odds. When I think of them, I think of immigrants today. They have that same pioneering spirit. That desire to create a better life for their families. And they rely on each other so much more. Multi-generations living together, grandparents caring for children while parents work. Very pioneerish. I'm out for a walk and to garden before it gets too hot. Who'd have thunk we'd have high 80s weather in May? Kav, some of Ruthy's comments in the blog and yours here reminded me of something I really pondered a few weeks ago. I don't even remember what triggered it. But that whole multi-generational family dynamic had it's benefits, I think. Now, we're all spread out in our own little worlds (mostly), doing our own thing, and I'm not so sure how much that's helped or hindered with getting along, interacting, and respecting others. I'm not saying that it was/is easy for couples to live with in-laws and parents, but when people do it, esp. if the personalities clash, then it's a teaching/learning experience for all. But... just pondering the pros & cons of it. We've talked about our genealogy before, but I was just showing my grandmother's letter to my grandson the other day, so the details are fresh in my mind. My grandmother was a German immigrant who left Russia in 1911 and arrived at Ellis Island in Jan 1912 at the age of 8. She had two brothers and two sisters. A baby brother died at sea and her five yr old sister died after they traveled to Wisconsin to join relatives there. I can't imagine my great-grandmother"s grief at having to bury a baby at sea and months later lose another child. What hardships these immigrants faced to make their way to better lives. I'm looking forward to your new historical series. I seem to be enjoying historicals more and more as I get older, they set me to thinking about all those who have gone before and what their lives were really like. To answer your question, I don't think I could cross and ocean and start a new life in another country, what courage those settlers and pioneers had! Tracey, I can't imagine either. So sad! I wonder if our answer would be different if we were being denied basic rights and couldn't ever get ahead. What if we were the peasantry and the indentured and the slaves....? I bet we'd hop on that boat! The cost some were willing to pay for freedom and progress and choices.... what courage. Praying for courage is something I do all the time. It's so easy to become quietly complacent, thinking others will do what needs to be done. Say what needs to be said... But then quiet complacency leads to too much complacency and that leads to weakness and who are we as a people if weakness overtakes us? We'll cling to strength and courage together, ladies! So sad, Tracey! I don't know that I'm made out of tough enough stuff to be a pioneer. Or to immigrate from one country to another. I don't think I would even fare well in historical times that I read about! Good morning, Ruthy! Thank you for filling in the post-holiday gap! I love that you're picking up that historical proposal and running with it. The series is all about second chances from day one, isn't it? I also love that you're setting this series in South Dakota! How great is that? And a cemetery is one of my favorite story-generating spots, too. So many poignant details of life written in so few words. Out here in the Black Hills, there's a grave marker - a single stone - in Custer State Park, marking the grave of Baby Mann, who died during birth in 1902. His parents ranched on that land at the time, and his marker is the only thing that remains of their hopes and dreams of 116 years ago. Isn't that a story waiting to be told? Jan, yes! That is exactly the kind of story waiting to be told! And of course I said "Oh, I'm so sorry you lost her. How old was she?" Gone before she was even known.... And buried in a special little section meant for babies, set aside for folks who don't have money to buy burial plots for their little ones. Ruthy, this is so exciting to find an unexpected Seekerville post today. I agree that waiting until Wednesday for a new post was too long. Especially now that school is out and I am not subbing, so I have time to look at Seekerville every morning. I look forward to this new series. Sandy, that's right, school's out for so many places now! Not up here, we go until June 24th or 25th... and don't go back til after Labor Day, but when I popped in this morning, (thinking it was MONDAY. SIGH!!!!) I thought shoot! We can't stay hog-tied and quiet for two full days. Good Morning! Ruthy, I'm excited about your historical project. It's already toasty here in my part of Texas. I'm staying inside to catch up on my reading. Caryl, as tough as winter seems to some, that heat in TX and NM and AZ would be so much worse for me. I can come inside and get warm, but I love being outside when the weather softens and gardens beg my attention! But you're on an opposite kind of schedule, so you enjoy your reading and I'll get dirty knees. I have two water gardens cleaned out, two gardens cleaned out and three window boxes filled. This is my favorite pastime!!!! I am in awe of what my ancestors did to get to the US and then to survive. Talk about grit. Sometimes, though, I wonder if they simply saw no alternative but to keep on keeping on. In addition to all the stories in a cemetery, they are a wonderful source of period names and expressions. One of my favorite markers is on the grave of a man who was a newspaper editor. It reads: "Thanks for stopping by!" Nancy, that's a great story about the newspaper editor! And yes, I think folks did what needed to be done... and didn't quit. Sure, some did, but even for all of that, others pushed on, an increasing wave. We have folks that came over in the early 1600's on the Herne/ Swartwout/Soule side of my family and potato famine on the Irish Logan/Mack side of my family... So whatever means, it wasn't an easy beginning! Thanks for posting today, Ruthy! A great topic. I don't have answers except that we've pushed God aside in so many ways, which has to impact our children. Also the lack of virtue. And not taking responsibility and working hard day after day. Do today's youth expect good things to come to them without sweat and toil? I'm not sure. Christ told us to take up our cross and follow him. I see so much pain in the world...lots of crosses...too many seem lost or they're following the wrong path. The world sends the wrong messages and our kids buy into them too easily. Debby, you made such good points. Yes, taking up that cross. Following Christ. Not going asunder, being led astray and if we fall... well, we follow His example and get back up. I keep my eyes on Christ and my reliance on the fine example of his mother, following her son, staying true until the end and then after. To say yes to that angel... to bear a child in a foreign city in a cave/stable/manger.... to be visited by kings.... flee to a neighboring country because your government wants your child dead.... WHO DOES THESE THINGS??? Yowza, that's one heck of an itinerary right there, isn't it? Entitlement might be some of it, too. That expectation of satisfaction no matter what. No answers here, some speculation and it comes back to we need to do a better job. And we can! We're amazingly strong! Maybe when God was more central to our lives, even unbelievers hesitated to do things that might cut them off forever from salvation, like killing themselves after committing multiple murders. Ruthy, you certainly offered up a grab bag of topics to discuss today. I know what you mean about old cemeteries. There are several of them in the little hamlets around us. And, oh, the things people used to put on some of those old tombstones. Yes, things are definitely different in today's society. Don't even get me started. The best we can do is pray. That's all I've got. The image of coming back to Christ, back to faith is so much of what I want to portray in my stories. Without faith life is so very, very trying sometimes... and yet with so much to offer! I'm not going to comment on every comment, but I read them all and am nodding along with everyone. Seems like Blogger needs a LIKE button, or a "YEP" button, anyway! Hahahaha! I agree! We need a like button but I like "Yep!" better, Pammers! We totally need one of those! Pam, a like button would be great!! We should petition google/Blogger! Aw, you are the sweetest thing! I love historicals, too! I'm just totally gobsmacked by what they had to deal with, Carrie. WHAT???? We'd be treading water!!!! Ruthy, I'm glad you posted! You know, old cemeteries are great story starters, I think. We visited a lot of old ones around Boston on my kids' field trips there, and I was very moved by the baby graves. I read once that the last fifty years is the only time in human history when people expected to die in turn. We talk about how a parent should NEVER have to bury a child, but that is a really modern outlook. Historically, children were so vulnerable. No vaccinations. No antibiotics. Surgery dangerous or non-existent. I don't have an answer about the madness of violence in some children, but I do know we hold life cheap too often in this modern age. Is it possible it's TOO easy to survive? That makes no sense but that's one big change in this world. And another one about warmth and food and weight and that kind of ties in with that pioneer mantra of "thin and brown" (Laura Ingalls Wilder) The thought is that now that we are warm all year and food readily available, we've weakened ourselves because we don't have to work at keeping warm or finding food. Maybe we've gotten things easy enough that we've messed up instincts? And yes, totally yes about the fragility of kids before the age of modern medicine and food. What a chancy business it was!!! I bless every miracle baby that comes into being because they are true miracles. History proves it! My 90 year old mom made this observation the other day. Nothing that hasn't been said before, but she put it in a way that caught my attention. She had a LOT of company over her birthday and she said, "They all settled in with phones in their hands and just stared at their phones. When you kids were young you all sat like that and stared at the TV. Does that change things? That everyone is cut off, isolated, having their OWN experience rather than the communal experience of watching the same TV show? Mary, isn't that the truth? There's almost no such thing as random conversation or quiet talk or sharing with phones in hand. What are we thinking? Doing? But I can picture it, and picture your mother saying it! Savvy chick! My paternal grandfather came from a family of nine children. Five with the first wife, who then died. Four with the second wife. My maternal grandfather was married to a woman who died having their second child. Then he remarried my mom's mother. Families are just DENSE with death. Maybe we cherished life more because it wasn't such a sure thing. That could be. Nothing was guaranteed. And one thing we've all witnessed is that we're rarely smart enough to learn from the past until we mess up our lives repeating those old mistakes. I used to go with my mother-in-law to the cemetery and we'd walk among the tombstones and she'd tell me about her ancestors. She had a grandma who was from the family that founded my hometown and my mother-in-law was very proud of that. It is sad to see LI drop historical romances but then they really never tried to provide them. There is so little history in the typical historical romance that I call them costume romances. It is as if authors and editors can't believe women, who read romances, can tolerate any real historical facts in their romances. It will frighten the poor little dears away! In historical fiction, history is the draw…the big selling point. People want to learn some history along with their entertainment. And a lot of those people are women. A reader should feel smarter for having read a historical fiction novel. She should be better prepared to answer questions on Jeopardy to the appreciation of her family. It is historical romances are killing themselves. Some Indy writer should try to delight her readers with surprising historical insights that are also relevant and move the story along. To do less is to respect women readers less. Vince, you might be on to something! You know, editors of all kinds remove that stuff, Vince. I know this from my historical writing buds, etc. that they minimize the historical facts quite often to focus on the story. And I can see it, especially these days. Although I'd love to write a Michener type book, I don't see that happening because there's a mortgage that likes to get paid every month.... so taking 18 months to write a book that won't bring in a year-and-a-half worth of wages is a tough one. If you're in that top 1/2 of 1/2 of 1 percent that gets paid a living wage on one book/year, that's a different story. I'm not talking about writing hard historical fiction. That would take a lot of time. I'm talking about putting interesting historical facts into the romance where they would occur naturally. This should not take much longer or many more words than would have been the case without the facts. In the old west newspapers brought by travelers from back east were highly prized. Even papers moths old. Cowboys kept the Police Gazzette in the bunk house. People talked news in the saloons. I just read a story in which a major character was a newspaper editor. At the time President Johnson was being impeached. Not a word! One vote saved Johnson's presidency. Do you think this fact could have been mentioned? Reno became a city. Again not a word in this Nevada city's newspaper. Of course, there is never any mention of money or what things cost. That would take a little research. Just Google, "List Major Events in 1878" and you'll see outlines of major events. Many are very interesting. A character could have a quirk of asking everyone questions because he reads Eastern papers. "Guess what old Tom Edison has patented now?" A phonograph! Pope Pius IX died after 31 years…that would be an interesting factoid…especially if there was a priest in the story. Italy got a new King. Soon after someone tried to assassinate him. This would be of interest given what happened to Lincoln. In fact, if you send a beta copy of a historical romance, I'll send you a collection of very usable factoids. Even a synopsis will do. Include dates and locations. Fires too in orphanages were also a major cause of children deaths too. I have come across walking through many cemeteries were a large head stone was placed by a church or organization on the spot were they these children are buried. Today too many can get there hands on there parents or step parents guns. Kim, that's so true and tragic. :( Those lost little lives... and lives handled carelessly. Heartbreaking whenever I think of people's cruelty to other people. Hi Ruthy! Thank you for this post and for letting us know you have a historical series brewing. I can hardly wait. History is the foundation of our country and who we are. I hated history in school but once I went to college and found a teacher who wanted to have you learn more than dates I started to like it. Then I married a man who LOVES history and can tell you more about some of the wars than you would care to know. :) It is sad to wander through some of the cemeteries and see the ages of the children. A lot were merely babies. My Mom had a little sister who at the age of two died of scarlet fever. My Mom remembered seeing Shirley Ann laying out on the ironing board with pennies on her eyes. It bothered her so much she hated ironing her entire life, but that was okay because I love ironing. Many blessings to all of you and I praise God every day for the freedom we have in America because of all the brave men and women who give of themselves, and some the ultimate sacrifice so we can have that freedom. I also always remember the military families because they serve too. I was a military brat and know what it was like. Oh, I can see that story and setting, Cindy. That poor child... and the family, laying her out on what they had. An ironing board. You can just paint that picture with words and emotions.... That poor family. And the other grandmother lost a set of twins and then a little girl "Jane" (who was listed as Sally Jane in the church records, but I was told those records were wrong... that her name was just "Jane", but that's a kind of funny mistake, isn't it?) Anyway Jane was two when she died of leukemia.... and now 98% of the kids who get leukemia LIVE and have full lives. That's a huge turnaround in a generation and a half. So now I want a cure for cancer... and Alzheimers. And I'm throwing mental illness into the pot, too. I'm a day behind but wanted to thank you, Ruthy. You've given us MUCH to think about. Walking through old cemeteries is fascinating--we have one on our Georgia coast that's filled with history. I'm late also but i'm thrilled to read about your historical series. As I read the questions you left for us I also wonder how the lives of our young people have changed so much. I do believe that our moral standards have eroded. I consider myself a Christian and I try to live a life pleasing to God but I know that my "shock barometer" has changed. What once would have been a no-no is accepted. I may not find it acceptable but I do accept it as part of our culture. This saddens me! I'm excited about your historical project. It's been kinda nice here in Maryland, with spring like temperatures with some hotter, humid days thrown in here in.